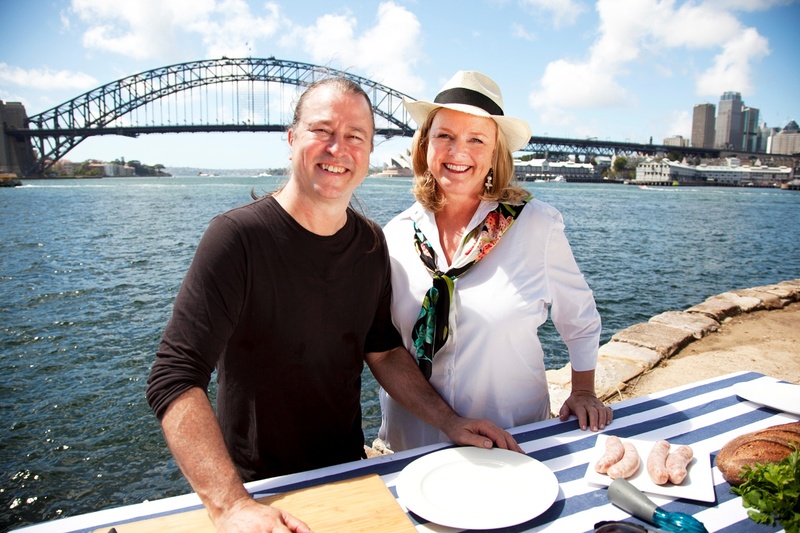 Taste of Australia encore continues this Sunday 7th August at 12:30pm on Foxtel’s LifeStyle FOOD! It has just been named Best Food TV Show in the World at the Gourmand Awards. Canberra, which is thought to have come from the Aboriginal word Kamberra, for meeting place, is far more than the seat of government. It was famously chosen for this nation’s capital as it is roughly half-way between Sydney and Melbourne. Smacks of the Wisdom of Solomon. So a city had to be created and this was designed by architect Walter Burley Griffin. 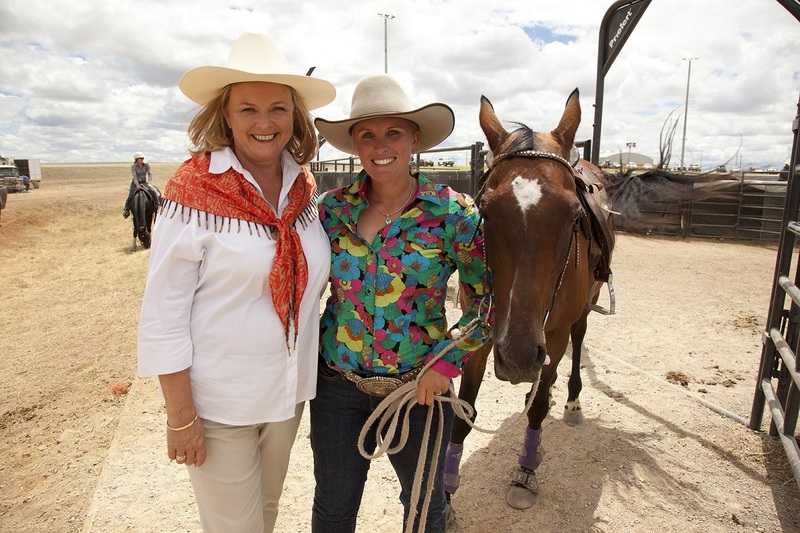 But here I also found an incredible array of different of activities and producers – typical of just how much Australia has to offer. It is all centred around Lake Burley Griffin – but it wasn’t the beauty I was after, but rather my first time Dragon boat racing. This Chinese sport is over 2,000 years old and now attracts people of all ages and from all walks of life. The commitment of the team is incredible as each get up early in the morning (we were there at 7am and it was -2°C!) to train before they head off to their respective work places. One of my old school friends is in a female team which includes an energetic bunch aged from 13 to 70. I joined them for a training session. 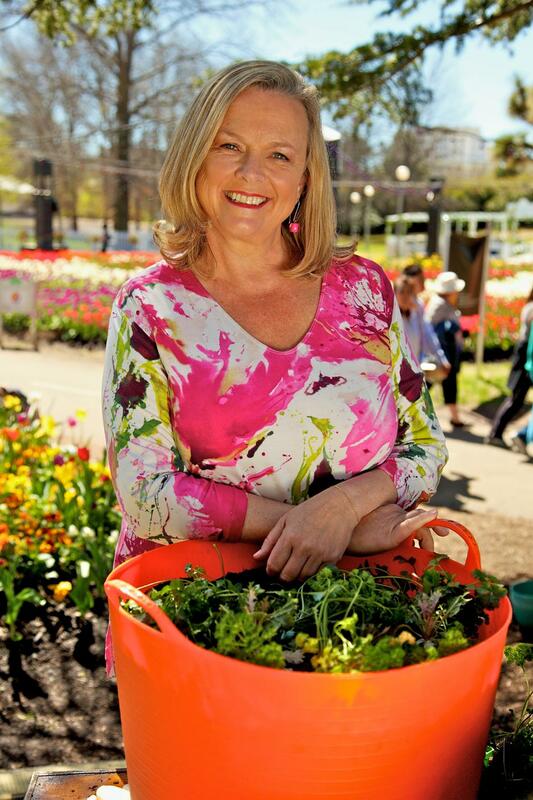 From dragons to flowers at Floriade and French food to boot! More suited to the climate at this time of year is Floriade, a floral extravaganza every Spring with colourful displays of over a million bulbs and annuals, ensuring something is in bloom every day. Here I was joined by French chef, Claude Fremy. Claude was a little nervous as it was his first time on television however that was all forgotten when he showed off his superb dessert skills with a stunning Lavender Crème Brulee, complete with spun toffee. And his accent was pretty appealing too! As Louis Pasteur said “A meal without wine is like a day without sunshine” so of course I visited one of the oldest commercial wineries in the Canberra District Wine Region, Helm Wines at Murrumbateman. An old friend of mine, Ken Helm took me fly fishing. It was harder then it looked as I dropped my reel into the river. Fortunately, Ken had some local fillets available and I designed a recipe especially to match his award-winning Riesling: Rainbow trout with preserved lemon dressing. Ken rewarded the crew and me afterwards with a special peek into his school house cellar door where we tried several of his highly acclaimed wines including, of course, the Riesling! A pantry of produce and farm life only a heartbeat from the city! Poachers Pantry, in Hall, around 25 minutes from Canberra’s CBD, was opened in 1991 by a long-time acquaintance of mine, Susan Bruce and her husband Robert. 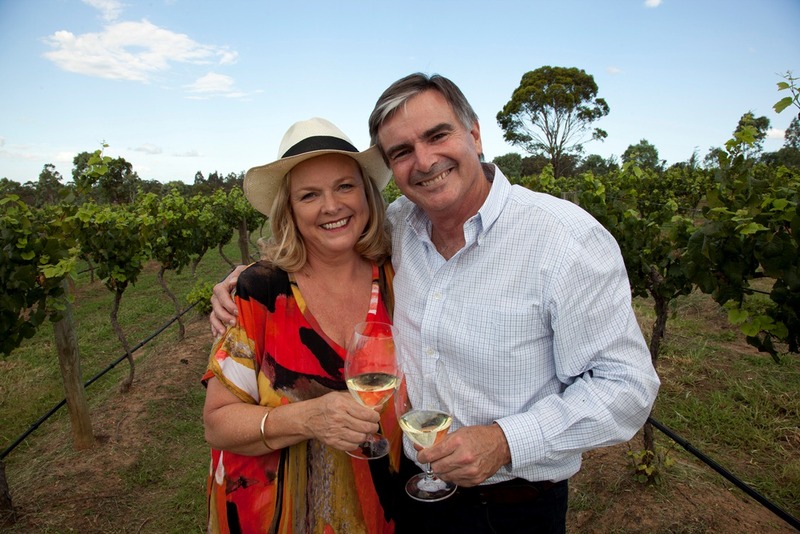 Their farm and smokehouse has a farmshop, café and cellar door. 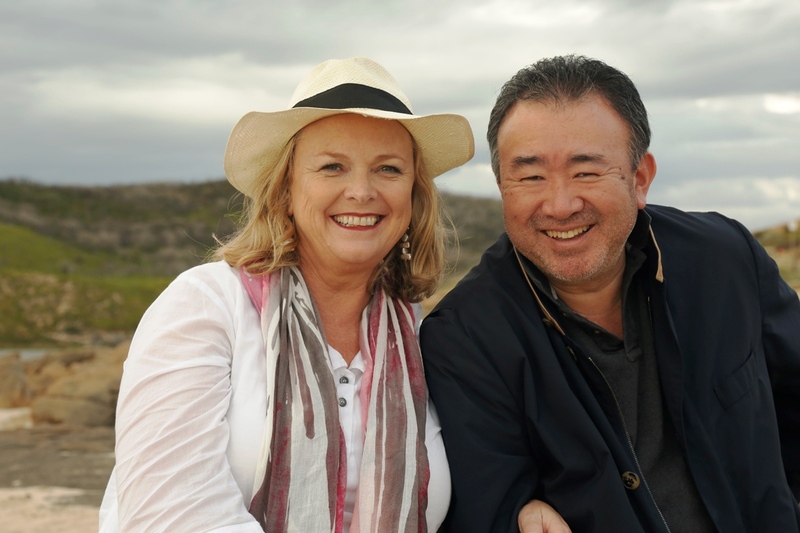 I have long been a fan of their smoked duck breast and I enjoyed sitting down with Susan, trying a range of her cured products and talking about her success in supplying restaurants, delis and Qantas. 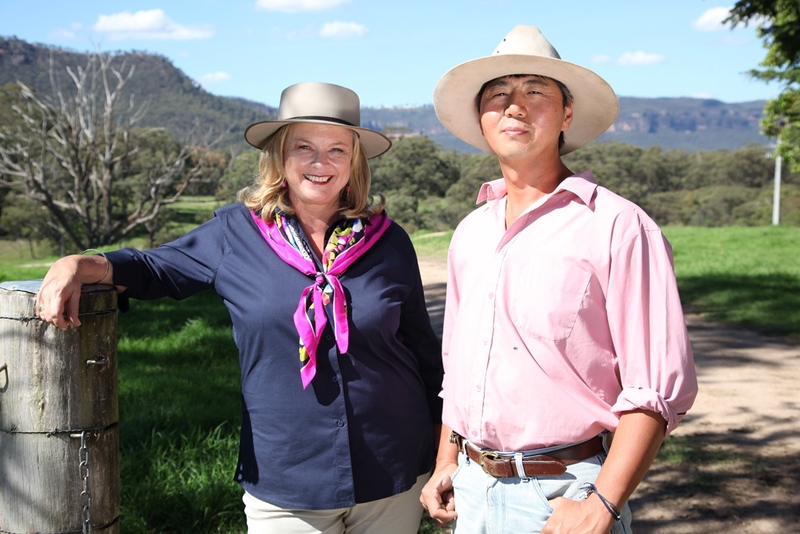 It was great to visit a real working pastoral property at family-run Gold Creek Station, also home to Australia’s own merino sheep and sheep dogs, Hereford cattle, horses and native animals. Here visitors can experience sheep mustering, shearing and for me, tractor driving. Craig, the owner also suggested he teach me how to wrangle a sheep which he insisted would be easy. But when I saw him flip over a 50kg sheep I decided to leave the wrangling to him. He also gave me a close up look at sheep shearing. Then I thought it best to stick with what I know best and cook lunch for the family: beef sirloin with native flavours and barbecued kumara and mushrooms.